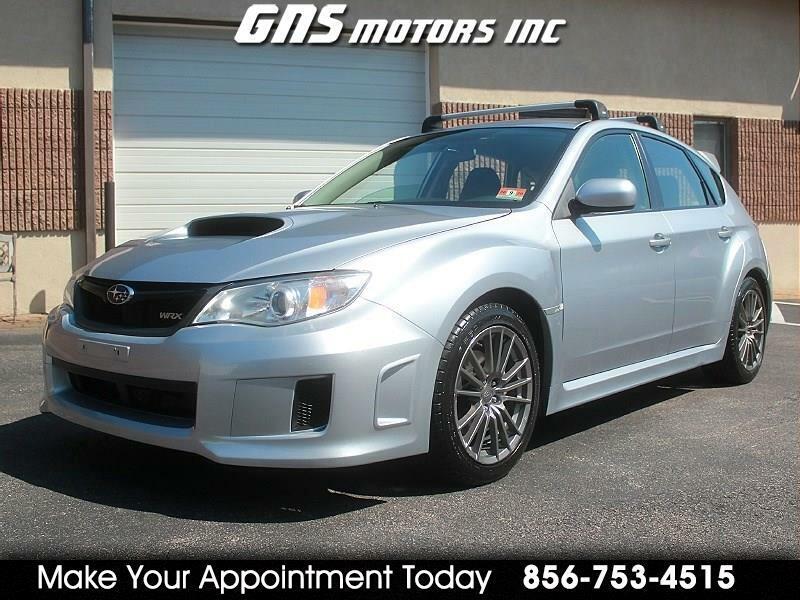 Used 2014 Subaru Impreza Wagon WRX 5dr Man WRX for Sale in West Berlin NJ 08091 GNS Motors Inc.
2014 SUBARU IMPREZA WRX * AWD * 5 SPEED MANUAL *DEALER SERVICED * 1 OWNER!! THIS ONE OWNER!! DEALER SERVICED 2014 SUBARU IMPREZA WRX 5SPD MANUAL AWD HATCH BACK IS IN EXCELLENT CONDITION!! CHECK IT OUT ON YOU TUBE https://youtu.be/AquyGztWLa4 * RECENT SERVICE WITH TIMING BELT REPLACED!! NEWER TIRES * ALLOY WHEELS * AM/FM/CD * SATELLITE RADIO * AUX AND USB INPUTS * BLUE TOOTH * REAR DEFROSTER * REAR WIPER * KEYLESS ENTRY ALARM * THULE ROOF RACK * POWER MIRRORS * POWER WINDOWS AND DOOR LOCKS * TILT AND TELESCOPIC WHEEL * TRACTION CONTROL * FRONT AND SIDE AIR BAGS * 115,584 HIGHWAY MILES!! MUST SEE!! 25 YEARS IN BUSINESS WE PRIDE OURSELVES ON NO HIDDEN FEE'S AND A NO PRESSURE ENVIRONMENT!! WE NOW OFFER AS LOW AS 3.99% FINANCING!! .. ALL CARS COME WITH A FREE CARFAX .. WARRANTIES ARE AVAILABLE ON MOST VEHICLES .. PLEASE CALL 856-753-4515 TO MAKE AN APPOINTMENT TO COME SEE AND DRIVE .. OUR VEHICLES ARE KEPT IN OUR INDOOR SHOWROOM SO AN APPOINTMENT IS NECESSARY .. FOR MORE PICTURES AND TO VIEW OUR INVENTORY ONLINE GO TO.. WWW.GNSMOTORS.COM .. Message: Thought you might be interested in this 2014 Subaru Impreza Wagon WRX.